This amazing pumpkin pudding is like a pumpkin pie without the crust. It's a rich and creamy pudding, perfectly spiced and baked to perfection. 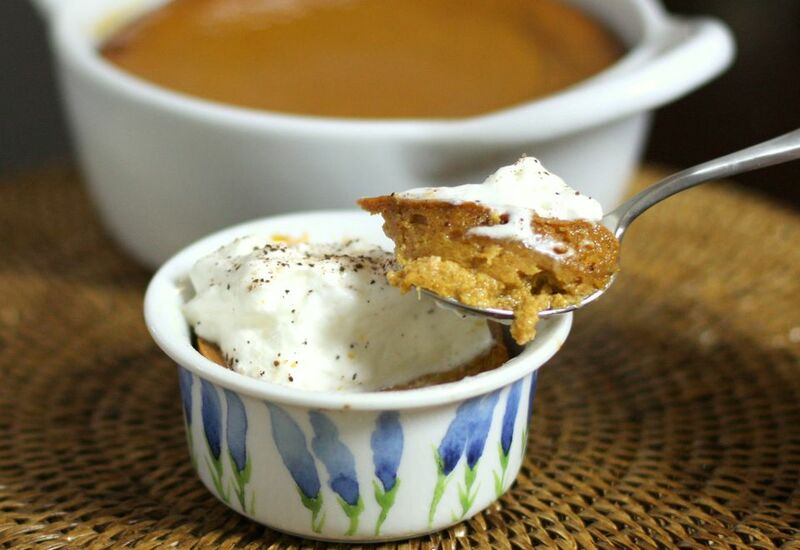 Enjoy this pumpkin pudding with a dollop of whipped cream and a sprinkling of cinnamon sugar. Butter a 1 1/2-quart baking dish. Heat oven to 350 F (180 C/Gas 4). In a large mixing bowl, combine all ingredients and whisk or beat on low speed until blended. Pour the pumpkin pudding mixture into the prepared baking dish. Place the baking dish in a larger pan and add boiling water to a depth of about 1 inch. Bake for 55 to 65 minutes, or until a knife inserted in the center comes out clean. If desired, serve with sweetened whipped cream and cinnamon sugar or chopped pecans for sprinkling. The pudding may also be baked in individual baking dishes or ramekins. Place the ramekins in a larger pan and fill it with boiling water to a depth of about 1 inch. Bake for 40 to 45 minutes, or until a knife inserted into the center comes out clean.